The orienteering club USV TU Dresden has more than 200 active members and thus we are by far the biggest orienteering club in Germany. Orienteering is not only a nature sport but also an adventure for all generations. In the forest, our green shirt is worn by preschoolers just as well as by senior citizens. We have a high number of top athletes in our club. For example there are not only several current German champions in our club but also participants in World and European Championships in all age groups. But we do not only welcome top athletes for competitions and training in our club. 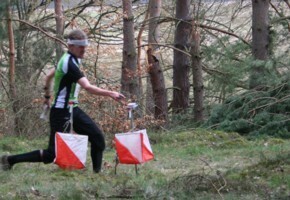 Rather we offer excellent conditions for orienteering for sportsmen and sportswomen of all performance levels. The huge training variety - ranging from orienteering technique training and running meetings to strength and fitness training - offers everyone the chance to improve his or her abilities purposefully and according to their own interests. Last but not least, our club is a very good club for children and young people. Based on many years of experience, we offer our youngest members a well guided training and the participation in regional, national as well as international competitions. Whether you are an ambitious sportsperson or a recreational runner, child or senior: We offer everyone a chance for training and regular participation in competitions in interesting areas. We help beginners in learning how to handle map and compass as well as to orienteer in unknown territory.